Robin has been a board certified lactation consultant helping new families solve problems since 1995. Working in her own private practice, NewBorn Concepts, she offers personal consultations, educational programs and retail supplies to families in the suburban Philadelphia region. She is also available for presentations and in-service training sessions to volunteers and healthcare professionals. Because of her knowledge, experience and abilities to help mothers and new families, Robin has been featured on Fox News, 48 Update, NBC News television programs. She has also appeared in articles in the Main Line Times and the Philadelphia Inquirer. She has presented programs relating to hypnosis, childbirth and breastfeeding to professional conferences in the United States, Mexico and Australia. Robin’s practice includes, private consultations for breastfeeding and fertility, classes in HypnoBirthing® and infant massage, as well as other topics including Prenatal Parenting™, that might be interesting to new parents. She is excited to offer a variety of classes to parents who are interested in pregnancy, birth and postpartum moments that are relaxed, confident and fulfilling experiences. Robin has received advanced training through the HypnoBirthing Institute to be able to work with women who would like to become pregnant. Whether they are in a fertility program or trying to conceive naturally, she can offer private sessions to reduce stress and promote a sense of well-being. She uses her professional training and personal experience to help each new family formulate and achieve their own goals as they begin their journey into parenthood. Robin is a graduate of Dickinson College and the mother of three breastfed children. She began helping new families in 1988 as a volunteer breastfeeding counselor. As an experienced counselor in 1992, she became an instructor for the Nursing Mothers Counselor Training Course and has served as President of the Board of Directors of the Nursing Mothers Alliance. She also served as President of the Pennsylvania Resource Organization for Lactation Consultants. 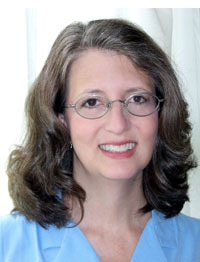 She currently maintains memberships with the International Lactation Consultants Association, the HypnoBirthing® Institute, and the Institute for Perinatal Education, the American Board of Hypnotherapy, the Loving Touch Foundation for Infant Massage, and the Association for Pre-and Perinatal Psychology and Health.